I have been involved in community-based monitoring for three years, so I was excited to start practicing our monitoring approach this year to open up procurement data about community development projects, such as roads, bridges, drinking water, and administrative buildings. Securing a grant from the Open Contract Partnership for a pilot program to promote integrity and transparency in public procurement was an opportunity, but it was also a challenge in a context like Nepal. CAHURAST-Nepal (Campaign for Human Rights and Social Transformation) started this procurement monitoring initiative in early June 2017. It was going to be challenging and exciting based on the organization’s experience with citizen monitoring over the last decade. Challenging in the sense that it wasn’t clear how we would use online data since Nepal still lacks transparent data that is organized systematically. Although data is available, we have only really been able to access it using Right to Information requests. And it was interesting in the sense that we would be using data from a new e-monitoring portal – being developed by the public procurement office (PPMO) and Young Innovations (a local technology development enterprise) – as a supporting hand to help minimize corruption and mismanagement, which touch every sector. We began implementing this initiative, in consultation with both Young Innovations and the Open Contracting Partnership. Our monitors were student observers trained in accessing and analyzing public information. I was shocked and encouraged to see how confident they were after the training. They said they could gather the procurement data for the fields of a given project within a week. 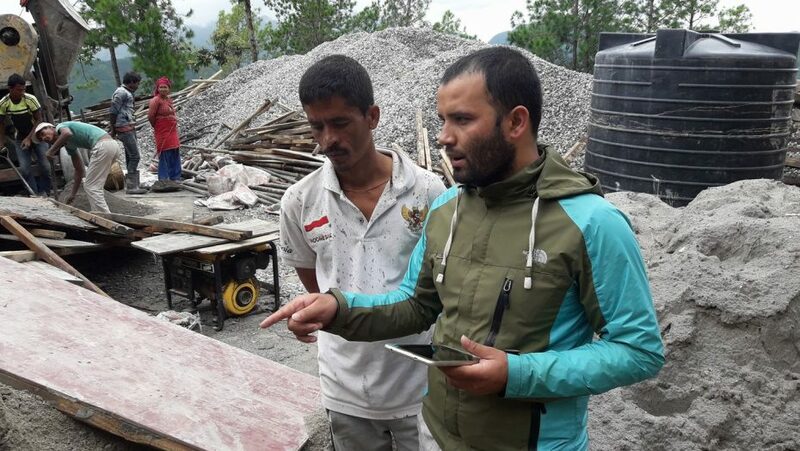 It may have been that the community monitors were unaware of the data access levels in the context of Nepal or that Kavre district, where the monitoring was carried out, provides data transparently. But, when they stepped out into the field, the reality was far more challenging than they had expected. Nevertheless, citizens are a powerful tool to bring about change in society, as we saw during the monitoring period. The strength of citizen monitoring in open data: After their training, the monitors immediately got to work – some directly jumped into the field, and some tried to access the data from relevant authorities like the road division office, municipality office, and contractors’ association office. Some got a sense of enjoyment from collecting the data, while others experienced a kind of hopelessness. The best part was the healthy competition that arose among the community monitors. They started to upload the information, documents, and videos related to their public procurement monitoring on a Facebook page and our organization’s website. The monitors were highly active on these platforms, learning from each other and showcasing the data they had collected. It wasn’t easy, and they often met resistance. In a video posted by a monitor on Facebook, a government official rudely dismissed a request for data. He said his office was not bound to provide the information to any citizen who came to them. “Today you came, the next day another one will come, and some other day yet another person will come. Don’t we have any work to do?” The government official also said that there might be corruption in some projects, but not in theirs. They just do the work based on how much they receive from the government, he said. There was an obvious understanding gap between the monitors and the government official. And from the video, it was clear that he was angry about the monitors telling the deputy mayor responsible for that local area that they had not received the full documents about the project. But the monitors kept at it. They tried to explain why it matters and convince him. Then finally, the official conceded and provided the information. It was beneficial to have Young Innovations’ input and continuous support during this initiative through their immediate feedback, by providing coordination opportunities with all working partners, and examining the procurement data collected by the monitors against the Open Contracting Data Standard. Online tools – Procurement Eye and DevelopmentCheck: Through these online tools, we have been using existing data to improve the procurement system of Nepal. The procurement tool, an app called Procurement Eye, shows data on five phases of a project – planning, tender, award, contract and implementation (milestones and transactions). DevelopmentCheck allows citizens to provide feedback on services in their communities. Further, it enables users to apply their findings to do something about the problems they have discovered. This initiative was an opportunity to find the gaps in contracting information. We showed the role citizens could play in closing the feedback loop within the public procurement system. And our insights will hopefully help to explain the need for such monitoring practices in Nepal.